The Night Before Christmas (Paperback) | Copperfield’s Books Inc.
We have more than fifty versions of this wonderful poem in our library; this is one of our favorites. Margaret Evans Price has a gentle talent. 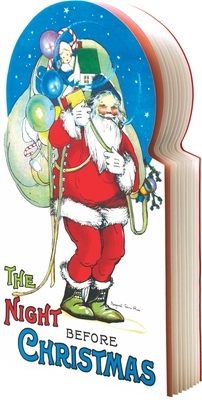 The Santa Claus on the cover, and throughout, is one of the kindest Santas ever imagined. This is a Santa who is appealingly earth bound.This is a facsimile of the 1917 edition. We have die-cut it, as in the original, and the shaped / rounded top makes it especially appealing. This is an ideal first "Night Before Christmas" for a young child.